Greater throughput -- mobile broadband with bandwidth ranging from 50 Mbps to 10 Gbps. Lower latency -- ultra-low latency down to 1 millisecond. More connection density -- 1 million connected mobile devices in less than half of a square mile as compared to around 2K with 4G cellular networks. With the promise of greater performance, network service providers are actively stepping up their testing and trials. 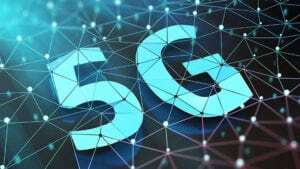 Standards organizations, including the 3rd Generation Partnership Project (3GPP) and the Internet Engineering Task Force (IETF), are also stepping in to codify 5G specifications. As a result of the buzz, many businesses large and small are in the process of evaluating what 5G will do for them. To offer just one example, the scalable connection density and low-latency response from 5G will play a key role in driving IoT device monitoring and control across industries. End users of these devices will experience throughput and responsiveness only previously available on fixed networks. Other applications set to benefit from this kind of wireless network performance and scalability include enhanced mobile broadband, enterprise communications, autonomous vehicles, telemedicine, augmented reality (AR), connected homes, and industrial automation. Many enterprises are replacing their fixed MPLS wide area networks (WANs) with virtualized software-defined WANs (SD-WANs) to reduce costs. Alongside that shift, 5G offers sufficient capacity and reliability to provide an additional path to support an SD-WAN, providing greater coverage, particularly for remote sites. Support for services such as SD-WAN can be segregated from other enterprise traffic using 5G network splicing — which standards organizations coined for the ability to dynamically provision service-specific data pipes in 5G networks — in order to cost-effectively reach areas where fixed-line networks are not economical. In these cases, remote enterprise sites may not need the highest bandwidth but require a deterministic quality of service. 5G service providers can make this possible by offering customized data pipes that support a broad profile of application usage with network splicing as the basis for “5G cloud services” including SD-WAN traffic. For example, a service provider with this kind of application performance diversity would be able to have a common connection across two different enterprise customers — with one customer running video collaboration applications and the other customer needing to meet low latency demands for autonomous cars. Network-slicing technology has the ability to create custom levels of network performance and latency commitments and will be inherent to 5G networks. Monitoring -- 5G can potentially enable a lot more mobile endpoints requiring network monitoring tools that can quickly sift through vast amounts of detail. Performance -- Wireless networks have historically been seen as a WAN backup when the primary circuit goes down. With 5G, wireless WANs could serve as a primary connectivity method, so measuring performance across these connections will become critical for enterprises to ensure effective integration of 5G networks. Security -- 5G will introduce new security concerns. Most SD-WAN solutions are encrypted SSL or IPsec tunnels, but new attack vectors may present themselves with data going over the air instead of over wires. Visibility -- Historically enterprise networks had a router/firewall connected to the WAN as a gateway. Will a BYOD mentality pervade that sidesteps this convention? Monitoring traffic flows could be a real challenge if the packets don’t always flow through the WAN gateway. To address these issues, network monitoring for performance and security considerations are even more crucial to the operation of hybrid enterprise networks that incorporate 5G network segments. A big data, SaaS approach is ideal for unifying network data at scale and providing the compute power to monitor hybrid enterprise networks. If you’re interested in learning more about how Kentik’s big data approach is used in hybrid network environments that include 5G networks, schedule a demo. If you already know that you want to implement a much more cost-effective network performance and security monitoring solution for your enterprise network, start a free trial.